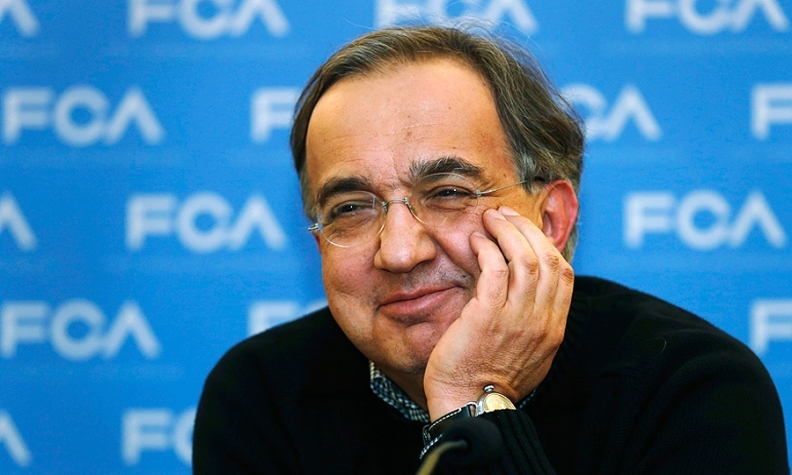 Fiat Chrysler CEO Sergio Marchionne will have an office in London. MILAN -- Fiat Chrysler Automobiles' new London headquarters will have a staff of about 50 people, most of whom will have a finance background, said two people familiar with the details of the automaker's plan to shift its tax residency to the UK. Fiat Chrysler CEO Sergio Marchionne and Fiat Group Chairman John Elkann will have offices in London, one of the people said. The company's chief financial officer, Richard Palmer, also may have an office there, the person said. The office will open before the end of the year. Most of the London staff will handle treasury operations, one of the people said. The carmaker has no immediate plans to hire new employees in London, the person said, adding that Fiat's headquarters in Turin and Chrysler's main base in Auburn Hills, Michigan, will not shrink or close. "It's more like adding a new office rather than shutting down an old one," the person said. Fiat also is looking to shift more finance people to the Asia Pacific and Latin American regions — especially from Europe — one of the people said. By moving its tax residency to the UK, the new group will be able to take advantage of a 20 percent corporate tax rate in 2015, instead of the 31.4 percent in Italy and 35 percent in the U.S. Although Marchionne has touted the financial merits of the move, the location of new company’s headquarters is a hot button issue on both sides of the Atlantic. Fiat has been based in Turin for 115 years and is Italy’s largest non-government employer. And Chrysler was saved from bankruptcy by U.S. taxpayer dollars in 2009. U.S. companies seeking lower tax rates abroad drew political fire earlier this month from U.S. Senator Carl Levin, a Michigan Democrat, who says he wants to introduce legislation making it harder for companies to move their tax residence outside of the U.S. after a merger. At least 14 U.S. companies have completed these so called “inversion deals” since January 2012 or are considering them, including Eaton Corp. and Chiquita Brands International Inc., according to Bloomberg. Fiat bought full control of Chrysler earlier this year, laying the groundwork for the next step in Marchionne’s plan to put the automakers together. Fiat Chrysler will be incorporated in the Netherlands and plans to list its shares in New York. Marchionne earlier this month downplayed the changes. "It doesn't mean I give up my operating functions in the U.S., but we're multifaceted. We're multitalented,” he said. "We do stuff everywhere."